Casuarina trees line a section of the beach at Conch Cay. This beautiful little island is found between North Caicos and Middle Caicos. 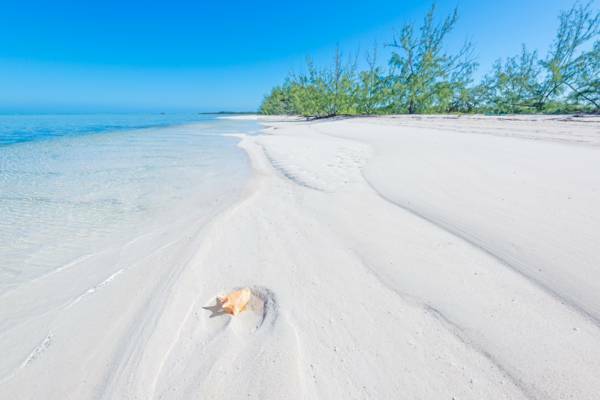 Located between in the channel between North Caicos and Middle Caicos, the 277 acre (112 ha) Conch Cay is an uninhabited and undeveloped wetland island. Consisting largely of a mangrove and tidal flat interior, a low dune beach rings the west, north and east sides of the Conch Cay. Because of the significant natural water flow, due to the tide movement between the Caicos Banks on the south and the deep Atlantic water to the north, the island is home to quite a bit of marine wildlife and consequently, birdlife. Conch Cay is adjacent to the likewise beautiful Highas Cay and East Bay Cay, and the protected area of the East Bay Islands National Park. Competing with the Mudjin Harbour and Crossing Place coastline, the Half Moon Bay, Water Cay and Pine Cay beach, and the Goods Hill region of East Caicos, the general Conch Cay and eastern Bottle Creek area is one of the most scenic landscapes in the Turks and Caicos. Kayaking off of Conch Cay. Due to the sheltered surrounding waterways and the abundant wildlife, the region around Conch Cay is a truly spectacular kayaking and stand up paddle boarding site. Countless small yet interesting features can be found within paddling distance, including small flank margin caves, Loyalist ruins, underwater cave systems, and of course, incredible views. These features tend to be hidden very well and easily overlooked! 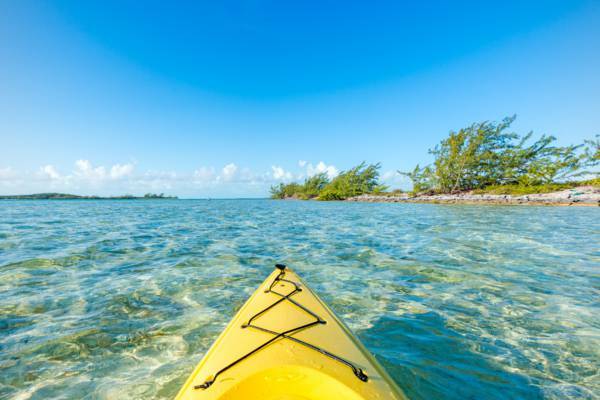 As a kayak camping destination, this region is unparalleled in the Turks and Caicos. The casuarina-lined beaches make for perfect campsites. To get the most out of the experience, we recommend adventuring with a qualified guide. Due to the shallow and extensive Bottle Creek Lagoon, the waters near Conch Cay are spectacular for fly and bonefishing. Fishing from both a powered boat or kayak is available, however due to the limited tourism industry on North and Middle Caicos, tours are not regularly scheduled and we recommend reserving well in advance of your visit.